Research is being conducted toward a better understanding of the genetic mechanisms controlling the introduction and expression of genes in wheat and rice using genetic, cytogenetic and molecular approaches. Using in situ hybridization techniques to physically map low-copy and unique DNA sequences to sites on plant chromosomes. 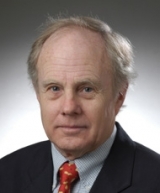 McGuire K. Dwindling global food supply is focus of plant summit here. St. Louis Post Dispatch, October 26, 2009. Elected Einstein Professor of the Chinese Academy of Science (2007). Sorrells ME, La Rota M, Bermudez-Kandianis CE, Greene RA, Kantety R, Munkvold JD, Miftahudin A, Mahmoud A, Ma X, Gustafson JP, et al. (2003) Comparative DNA sequence analysis of wheat and rice genomes. Genome Research 13:181-87. Rodriguez M, Maurer MA, Huete AR, Gustafson JP (2003). Glutathione peroxidase genes in Arabidopsis are ubiquitous and regulated by abiotic stresses through diverse signaling pathways. The Plant Journal 36:602-15. Akhunov ED, Akhunova AR, Linkiewicz AM, Dubcovsky J, Hummel D, Lazo G, Chao S, Anderson OD, David J, Qi L, Echalier B, Gill BS, Miftahudin A, Gustafson JP, et al. (2003) Synteny perturbations between wheat homoeologous chromosomes caused by locus duplications and deletions correlate with recombination rates along chromosome arms. Proceedings of the National Academies of Science of the United States of America 100:10836-41. Miftahudin, Scoles GJ, Gustafson JP. (2004) Development of PCR-based codominant markers flanking the Alt3 gene in rye. Genome 47:231-38. Randhawa HS, Dilbirligi M, Sidhu D, Erayman M, Sandhu D, Bondareva S, Chao S, Lazo GR, Anderson OD, Miftahudin, Gustafson JP, et al. (2004) Deletion mapping of homoeologous group 6-specific wheat expressed sequence tags. Genetics 168:677-86. Hossain KG, Kalavacharla V, Lazo GR, Hegstad J, Wentz MJ, Kianian PMA, Simons K, Gehlhar S, Rust JL, Syamala RR, Obeori K, Bhamidimarri S, Karunadharma P, Chao S, Anderson OD, Qi LL, Echalier B, Gill BS, Linkiewicz AM, Ratnasiri A, Dubcovsky J, Akhunov ED, Dvorak J, Miftahudin, Ross K, Gustafson JP, et al. (2004) A chromosome bin map of 2148 expressed sequence tag loci of wheat homoeologous group 7. Genetics 168:687-99. Munkvold JD, Greene RA, Bermudez-Kandianis CE, La Rota CM, Edwards H, Sorrells SF, Dake T, Benscher D, Kantety R, Linkiewicz AM, Dubcovsky J, Akhunov ED, Dvorak J, Miftahudin, Gustafson JP, et al. (2004) Group 3 chromosome bin maps of wheat and their relationship to rice chromosome 1. Genetics 168:639-50. Zhang D, Choi DW, Wanamaker S, Fenton RD, Chin A, Malatrasi M, Turuspekov Y, Walia H, Akhunov ED, Kianian P, Otto C, Simons K, Deal KR, Echenique V, Stamova B, Ross K, Butler GE, Strader L, Verhey SD, Johnson R, Altenbach S, Kothari K, Tanaka C, Shah MM, Laudencia-Chingcuanco D, Han P, Miller RE, Crossman CC, Chao S, Lazo GR, Klueva N, Gustafson JP, et al. (2004) Construction and evaluation of cDNA libraries for large-scale expressed sequence tag sequencing in wheat (Triticum aestivum L.). Genetics 168:595-608. Ma X-F, Fang P, Gustafson JP (2004) Polyloidization-induced genome variation in triticale. Genome 47:839-48. Gustafson JP, McGuire PE, Qualset CO (2004) Genomic resources: moving wheat into the mainstream in plant genomics. Genetics 168:583-84. Linkiewicz AM, Qi LL, Gill BS, Ratnasiri A, Echalier B, Chao S, Lazo GR, Hummel DD, Anderson OD, Akhunov ED, Dvorak J, Pathan MS, Nguyen HT, Peng JH, Lapitan NLV, Miftahudin, Gustafson JP, et al. (2004) A 2500-locus bin map of wheat homoeologous group 5 provides insights on gene distribution and colinearity with rice. Genetics 168: 665-76. Peng JH, Zadeh H, Lazo GR, Gustafson JP, et al. (2004) Chromosome bin map of expressed sequence tags in homoeologous group 1 of hexaploid wheat and homoeology with rice and arabidopsis. Genetics 168:609-23. Miftahudin, Ross K, Ma X-F, Mahmoud AA, Layton J, Rodriguez Milla MA, Chikmawati T, Ramalingam J, Feril O, Pathan MS, Surlan Momirovic GS, Kim S, Chema K, Fang P, Haule L, Struxness H, Birkes J, Yaghoubian C, Skinner R, McAllister J, Nguyen V, Qi LL, Echalier B, Gill BS, Linkiewicz AM, Dubcovsky J, Akhunov ED, Dvorak J, Dilbirligi M, Gill KS, Peng JH, Lapitan NLV, Bermudez-Kandianis CE, Sorrells ME, Hossain KG, Kalavacharla V, Kianian SF, Lazo GR, Chao S, Anderson OD, Gonzalez-Hernandez J, Conley EJ, Anderson JA, Choi D-W, Fenton RD, Close TJ, McGuire PE, Qualset CO, Nguyen HT, Gustafson JP (2004). Analysis of expressed sequence tag loci on wheat chromosome group 4. Genetics 168:651-63. Qi L, Echalier B, Chao S, Lazo G, Butler GE, Anderson OD, Akhunov ED, Dvorak J, Linkiewicz AM, Ratnasiri A, Dubcovsky J, Bermudez-Kandianis CE, Greene RA, Kantety R, La Rota CM, Munkvold JD, Sorrells SF, Sorrells ME, Dilbirligi M, Sidhu D, Erayman M, Randhawa HS, Sandhu D, Bondareva SN, Gill KS, Mahmoud AA, Ma X-F, Miftahudin, Gustafson JP, et al. (2004) A chromosome bin map of 16,000 EST loci and distribution of genes among the three genomes of polyploid wheat. Genetics 168:701-12. Conley E, Nduati V, Gonzalez-Hernandez JL, Mesfin A, Trudeau-Spanjers M, Chao S, Lazo GR, Hummel DD, Anderson OD, Qi LL, Gill BS, Echalier B, Linkiewicz AM, Dubcovsky J, Akhunov ED, Dvorak J, Peng JH, Lapitan NLV, Pathan MS, Nguyen HT, Ma X-F, Miftahudin, Gustafson JP, et al. 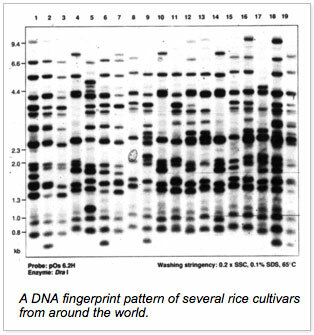 (2004) A 2600-locus chromosome bin map of wheat homoeologous group 2 reveals interstitial gene-rich islands and colinearity with rice. Genetics 168:625-37. Lazo GR, Chao S, Hummel DD, Edwards H, Crossman CC, Lui N, Matthews DE, Carollo VL, Hane D, You FM, Butler GE, Miller RE, Close TJ, Peng JH, Lapitan NLV, Gustafson JP, et al. (2004) Development of an expressed sequence tag (EST) resource for wheat (Triticum aestivum L.): EST generation, unigene analysis, probe selection and bioinformatics for a 16,000-locus bin-delineated map. Genetics 168:585-93. Miftahudin, Chikmawati T, Ross K, Scoles GJ, Gustafson JP (2005). Targeting the aluminum tolerance gene Alt3 region in rye, using rice/rye micro-colinearity. Theoretical and Applied Genetics 110:906-13. Ma X-F, Gustafson JP (2005) Genome evolution of allopolyploids: a process of cytological and genetic diploidization. Cytogenetic and Genome Research 109:236-49. Chikmawati T, Skovmand B, Gustafson JP (2005) Phylogenetic relationship among Secale species revealed by amplified fragment length polymorphisms. Genome 48:792-801. Chao S, Lazo GR, You F, Crossman CC, Hummel DD, Lui N, Laudencia-Chingcuanco D, Anderson JA, Close TJ, Dubcovsky J, Gill BS, Gill KS, Gustafson JP, et al. (2006) Use of a large-scale Triticeae expressed sequence tag resource to reveal gene expression profiles in hexaploid wheat (Triticum aestivum L.). Genome 49:531-44. Ma X-F, Gustafson JP (2006) Timing and rate of genome variation in triticale following allopolyploidization. Genome 49:950-98. Ramalingam J, Pathan MS, Feril O, Miftahudin, Ross K, Ma X-F, Mahmoud AA, Layton J, Rodriguez-Milla MA, Chikmawati T, Valliyodan B, Skinner R, Matthews DE, Gustafson JP, Nguyen HT (2006) Structural and functional analyses of the wheat genomes based on expressed sequence tags (ESTs) related to abiotic stresses. Genome 49:1324-40. Beno M, Pereira HS, Rocheta M, Gustafson P, Viegas W, Silva M (2008) Polyploidization as a retraction force in plant genome evolution: sequence rearrangements in triticale. PLoS ONE 3(1): art. No. e1402. Ma X-F, Gustafson JP (2008) Allopolyploidization-accomodated genomic sequence changes in triticale. Annals of Botany 101:825-32. Gustafson JP, Ma X-F, Korzun V, Snape JW (2008) A consensus map of rye integrating mapping data from five mapping populations. Theoretical and Applied Genetics, pp. 1-8. Shi BJ, Gustafson JP, Button J, Miyazaki J, Pallotta M, Gustafson N, Zhou H, Langridge P, Collins NC. (2009) Physical analysis of the complex rye (Secale cereale L.)Alt4 aluminium (aluminum) tolerance locus using a whole-genome BAC library of rye cv. Blanco. Theoretical and Applied Genetics 119:695-704. Gustafson JP, Langridge P, Somers DJ. (2009) Plant Genomics: Methods and Protocols. New York: Humana Press. Bento M, Gustafson P, Viegas W and Silva M (2010) Genome merger: From sequence rearrangements in triticale to their elimination in wheat-rye addition lines. Theoretical and Applied Genetics 121(3):489-497.